WHY CHOOSE US - STUDY HALL INC.
We understand the painstakingly detailed nature of the work. We understand the nature of the site-sponsor relationship and the importance of maintaining the relationships in order to stay on track and meet critical deadlines. At Study Hall Inc.® this is all we do and we do it very well. Our philosophy has always been one of open and honest communication with our clients and clinical research professionals. We believe this philosophy has proven to be a critical factor in our successful partnerships as evidenced by our high repeat business rate. 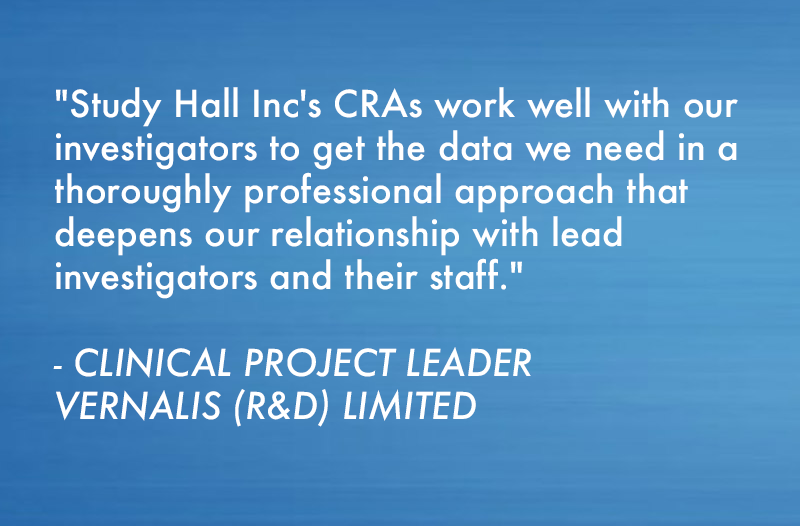 Our expertise in clinical research and clinical resourcing provides us the understanding of the challenges and limitations imposed on sponsors by traditional CRO's and staffing companies. We exceed the traditional sponsor-service provider relationship. 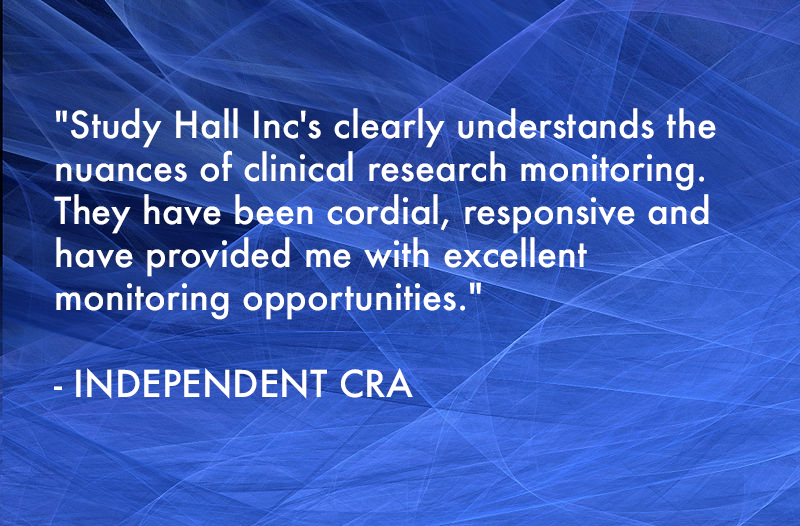 We treat our clinical research professionals with respect and are responsive to their needs and concerns. As a result we have a loyal following of professionals qualified in all phases of clinical trials and a multitude of therapeutic areas.